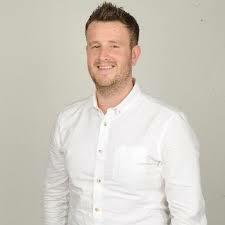 A newly appointed sports writer on the Sunderland Echo has apologised for "pathetic, infantile" Facebook messages he posted six years ago about the club he now covers. In a heartfelt apology posted on the Echo's website, Newcastle United fan Liam Kennedy said he was now "ashamed" of the derogatory comments - against both Sunderland fans and players - which have been circulated widely on Sunderland fan forums. He said: "It embarrasses me to see my name against such abhorrent language online. The pathetic, infantile posts were penned before I was a professional journalist. I am a different person now. It was a long time ago. "I was young, daft and trying to be clever. It turns out, putting things like that online was not so clever at all." Kennedy admitted he was a Newcastle fan - bitter rivals of the club he now covers for the Johnston Press title - but said that did not stop him "with all of the commitment and passion I did in Dundee, as well as elsewhere across the UK". Kennedy only left his last role at the Dundee Evening Telegraph earlier this month, admitting in his final column that his new move may raise eyebrows. "Pastures new are calling and Premier League football with the Sunderland Echo. Yes, you did read that right — Sunderland. "And before you all start, I’m a Geordie, yes, but, first and foremost, a football fan. And, in my defence, I haven’t supported a club I’ve covered yet, despite the protestations of many an Arab on social media." Kennedy, who has already deleted his freshly created Twitter account, insisted in his Echo apology that he would be able to cover the Mackems "without bias, with no malice and with 100% impartiality. You have that guarantee". But the reaction from fans to the post has not been positive. One commenter said: "An apology is one thing, but can ANYTHING he does for The Echo ever get taken seriously, now? Ever? This article should be a lesson to all those keyboard warriors out there. What goes around comes around!" Another, however, said: "What an over blown story this is - non story in fact. Didn't need to apologise for anything."